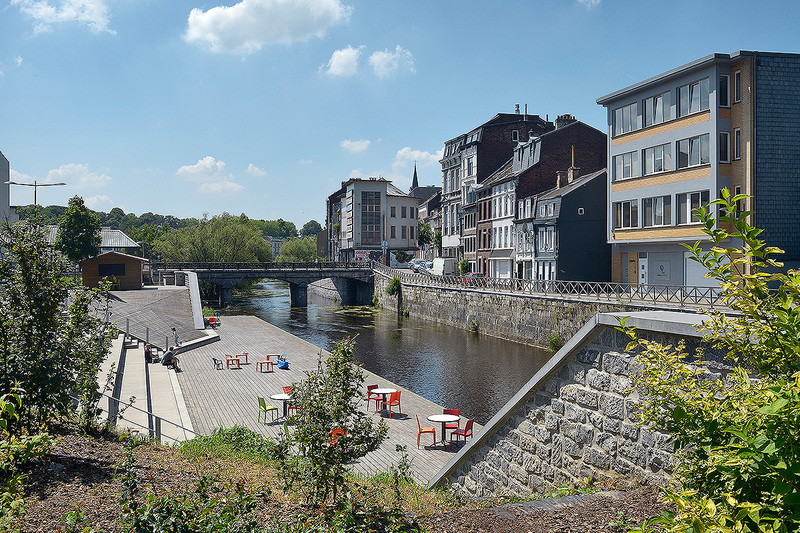 The Cour Fischer project was all about restructuring the site in Verviers, redeveloping the (existing) parking lot, giving spaces new uses and creating access to the River Vesdre. 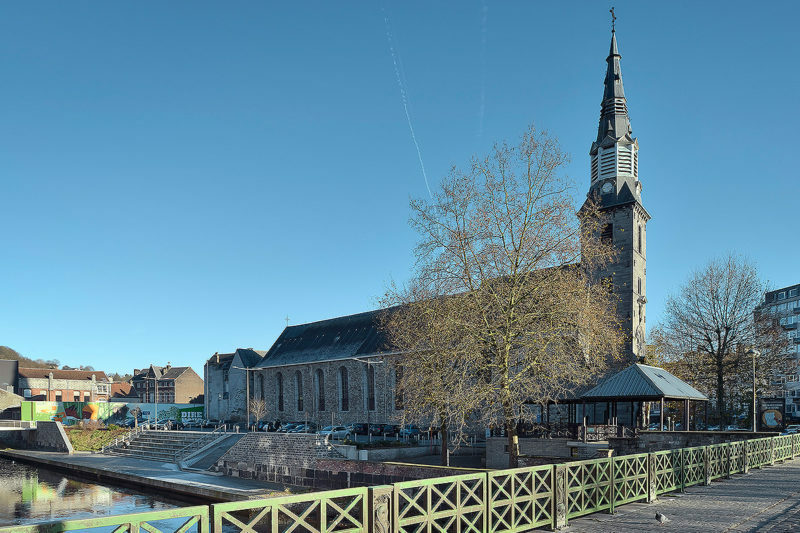 The site, near to the centre of Verviers and close to the chapel and church of the Order of Recollects, was originally not very inviting: insufficient street lighting, patchwork vegetation, different types of paving (asphalt, cobblestones, etc. creating puddles where water seeped into the ground, with further consequences for the paving). Moreover, nothing had been done to integrate the Vesdre, the river running alongside the site. 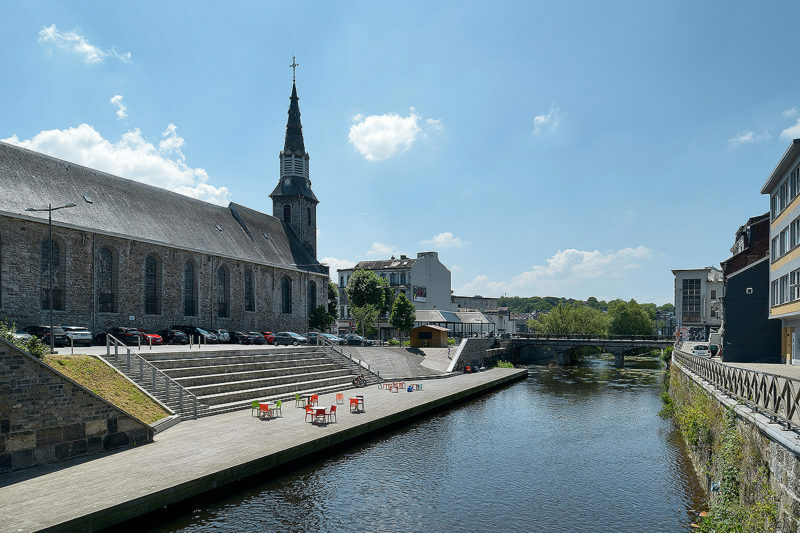 Finally, although Verviers has ambitions to call itself a “green city””, the site had nothing to help keep it clean, such as litter bins, glass containers, etc. The objective of the redevelopment was therefore to give the site a new lease of life, making it a pleasant place for people to come and visit. To achieve this, we not only repaved the whole site, but also installed a lot of contemporary street furniture (litter bins, bollards, etc.). • Walkways paved with washed concrete or simple concrete paving stones. 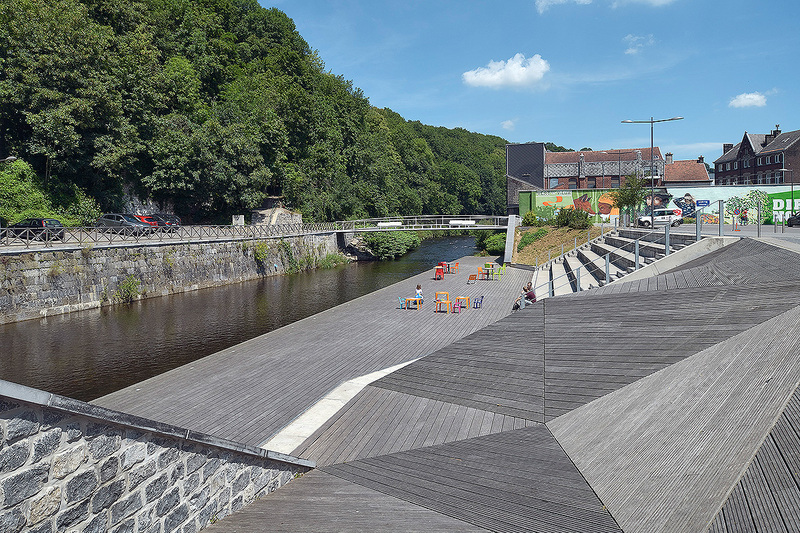 • A short wooden-floored promenade overlooking the Vesdre. • Washed concrete steps between the walkways and the promenade. Trees, shrubs and lawns round off the development.